Please name Model & Brand of this monkey ?? Could you please help me name the model and brand of this toy ? 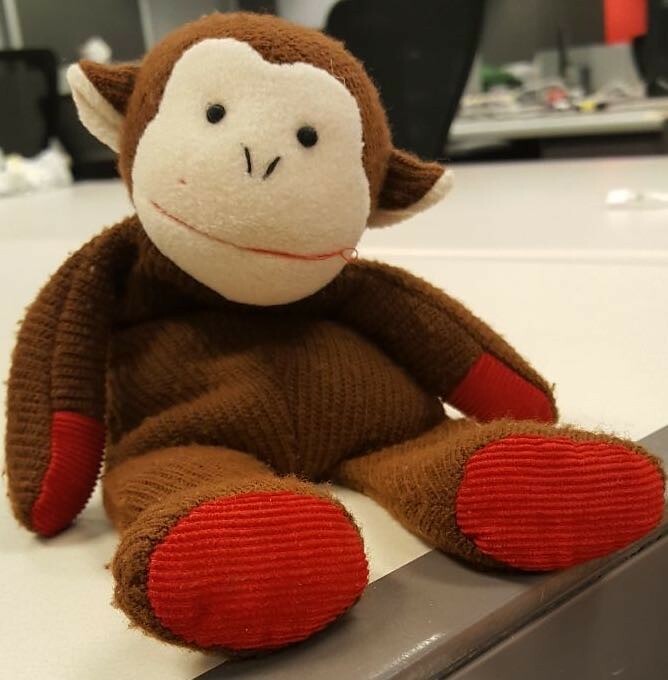 Re: Please name Model & Brand of this monkey ?? This monkey makes me think of Curious George. But I can't find a stuffed animal of him with red feet and hands. Make sure to check out my posts and see if you can help me with any of my toy mysteries, any help is appreciated, thanks!